Ready, Set, Weekend with Daniella V! Hi everyone! Daniella here. Aunt Debi is on vacation this week so I am subbing in and am pretty excited about it! This was a no brainer. The black witch’s cauldron was an easy spray paint job to turn it gold. First, I filled it with ice and a bottle of champagne.... And voila! No longer a spooky cauldron. We have ourselves a chic bubbly cooler! 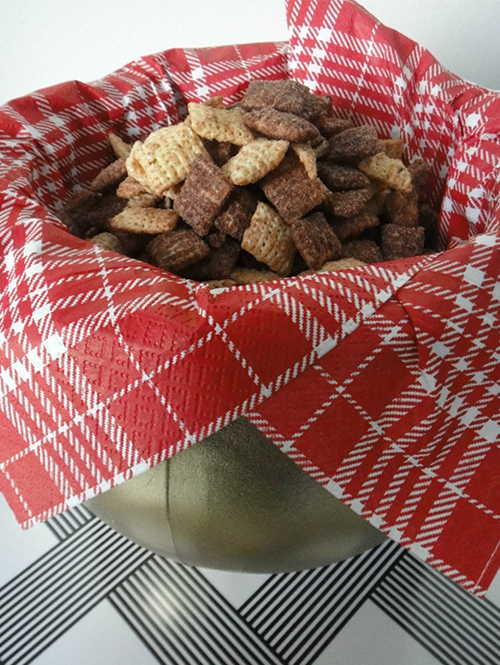 You can also line the cauldron with a festive napkin and fill it with your favorite CHEX mix (mine is the gluten free cocoa CHEX)! Pom Pom Sticks I love gold spray paint. 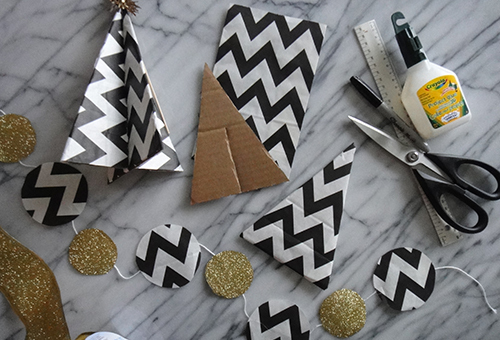 I did a quick spray on the tops of the sparky sticks and threw them into glasses of champagne. The pom poms were already a copper colour - great for a metallic holiday party - but a little splash of gold is always a good thing!